Also, Nilson Izaias' videos are perfect. This YouTuber is going viral and it’s the most precious thing you’ll see today. We’re taking a break from the chaos of the world to focus on stories that restore our faith in humanity. If you like good news, Don’t forget to like and subscribe to our YouTube channel for more social media news daily. 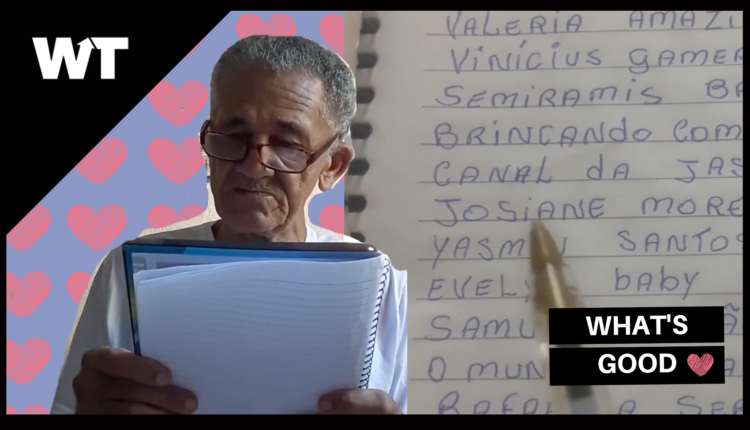 Nilson Izaias is a senior citizen who loves to vlog about the flowers and fruits in his garden, and as a token of his gratitude, he decided to write down all of his subscribers and thank them individually. And for a man who loves to share about his successes with gardening, surely, he could not have expected to become the next viral sensation. At the end of January, Nilson reportedly had just 1,862 followers. Now, he has over 1.3M, gaining over a million subscribers in just 48 hours. He also gives us a tour though his house, and the fact that it is slightly out of focus only makes it that much more endearing. He introduces us to the good doggos that keep watch over his house, and shows us his Bible and keyboard. But the one thing that makes Nilson stand out from the rest is his immense gratitude. 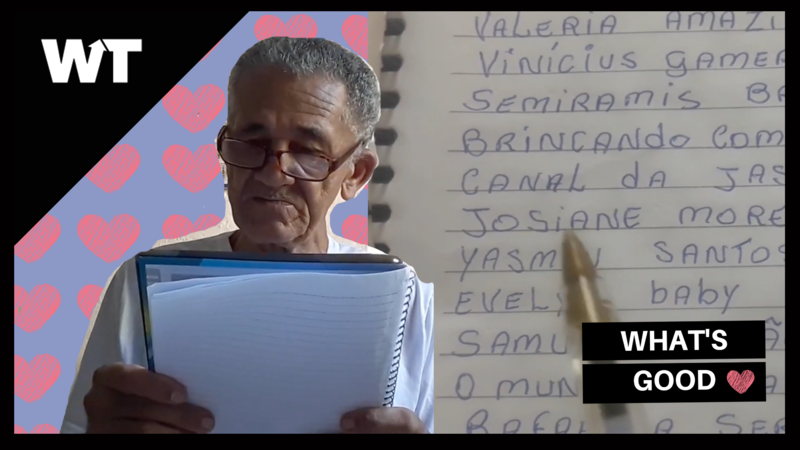 In his latest video, which was posted after he started going viral, Nilson thanks everyone for their kind words, and he continues on to thank subscribers by name. -What do you think about this sweet story? Let us know in the comments or on Twitter at @WhatsTrending.